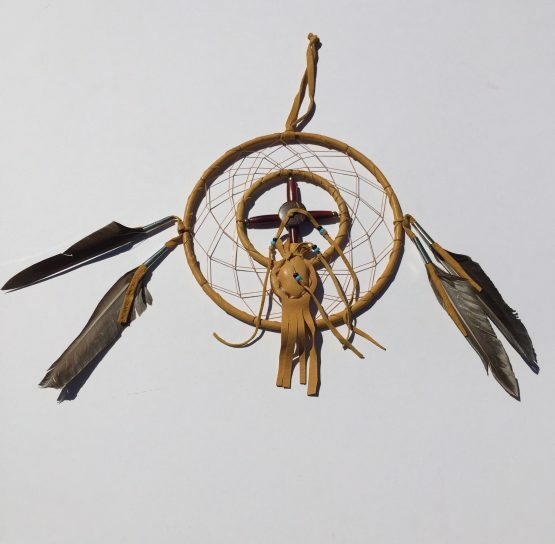 These Navajo Dream Catcher with Medicine Bag come in 2 sizes. 4″ and 6″. Please specify which size you require. 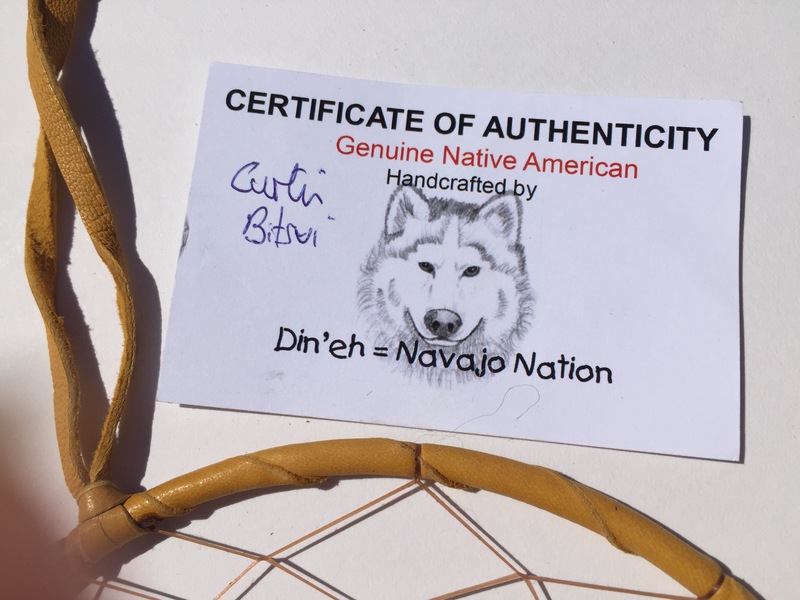 These Native American dream catchers are made on the Navajo Reservation in USA and come with a label of authenticity. The medicine bag can be removed if desired. Purchase of this dream catcher helps to employ over twenty-five Native artists.